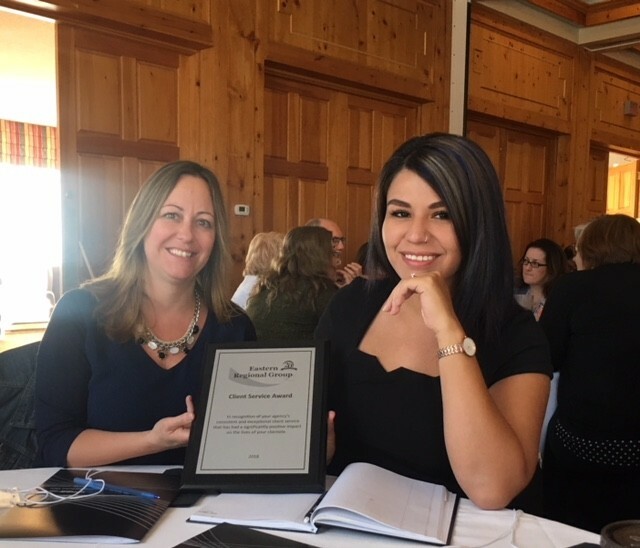 Community Living Upper Ottawa Valley (CLUOV) has been awarded the Client Services Award from the Eastern Regional Group through Employment Ontario. 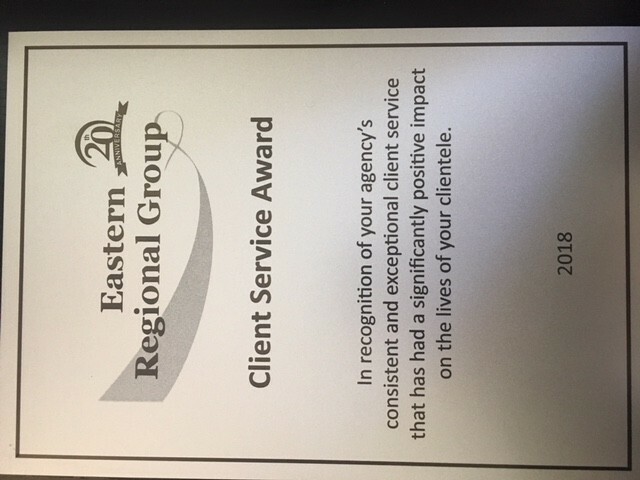 The Client Service Award recognizes an agency who has consistently demonstrated exceptional client service, and have achieved outstanding results, that have had a significant positive impact on the lives of their clients. Staff and supporters are ambassadors and champions for people supported and for CLUOV. CLUOV recognizes that employment is a significant factor in measuring quality of life and have assisted people to find, maintain and enhance employment. In June 2016, CLUOV was awarded a 4-year Person-Centered Excellence Accreditation with Distinction. This acknowledged our ability to deliver exceptional person-centered service which was facilitated by our staff and our community partners. Executive Director (ED) Christ Grayson and Director of Quality Enhancement and Support Services Tina Williams were invited to speak at the 2017 Council of Quality and Leadership (CQL) Blueprint for Person-Centered Practices International Conference. At this conference, CLUOV was also awarded with the 2017 CQL International Award of Excellence, acknowledging our significant accomplishments with inclusion-building initiatives, independent residential settings, community engagement, marketing, community building and innovation in the developmental services sector. 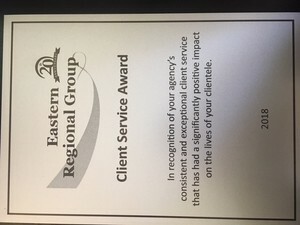 Our agency was the first in Canada to receive this award. In the Fall of 2018, CLUOV is hosting an international “learning exchange” to present various learning segments involving person-centered approaches, self-advocacy, stakeholder leadership, community development, marketing and our initiative to move away from group living. CLUOV was invited to collaborate with the ministry to promote the closure of sheltered workshops in Ontario. Our organization shared the process and planning strategies we used and recommendations for successful transitions away from segregated workshops and day programs. ED Chris Grayson was asked to speak at Service Coordination for People with Developmental Disabilities’ “My Home, My Community” conference in May 2018. The presentation provided ideas for innovative and supportive housing models and describing our shift away from group homes to inclusive living options. CLUOV is one of nine provincial partner organizations of a four-year Ministry of Community and Social Services sponsored modernization initiative that is focused on best practices within the developmental services sector. ED Chris Grayson chaired the “From Presence to Citizenship’s Learning Exchange”, an annual event that features nationally and internationally recognized speakers and breakout session leaders (champions) of transformation that share their best practices and success stories from knowledge-transfer.